I was reading designer Vicente Wolf’s blog this week and came upon this quote from a presentation he made to promote his book, Lifting the Curtain on Design. 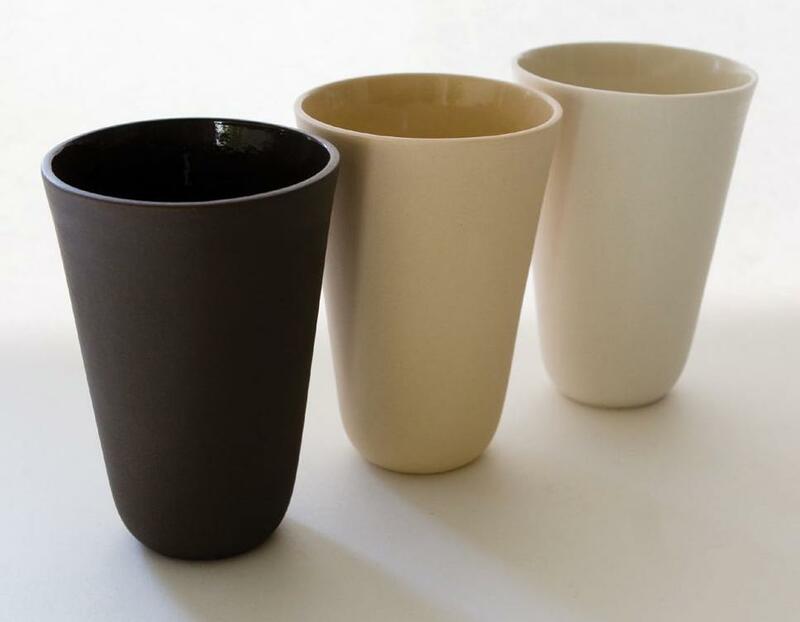 He said, “you make a stronger statement with simplicity than with a lot of stuff.” I think Ceramik B. is a perfect reflection of Vicente’s point. 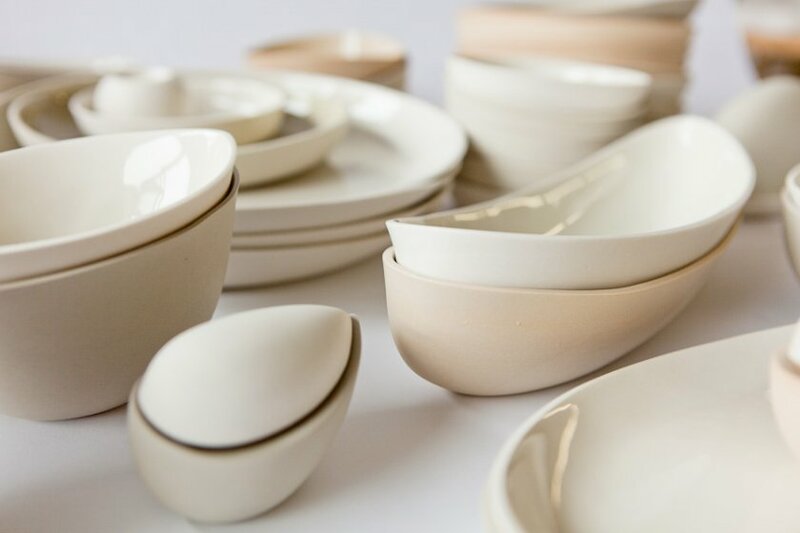 Inspired by organic forms and shapes, Montreal-based ceramicist Basma Osama has created Ceramik B. 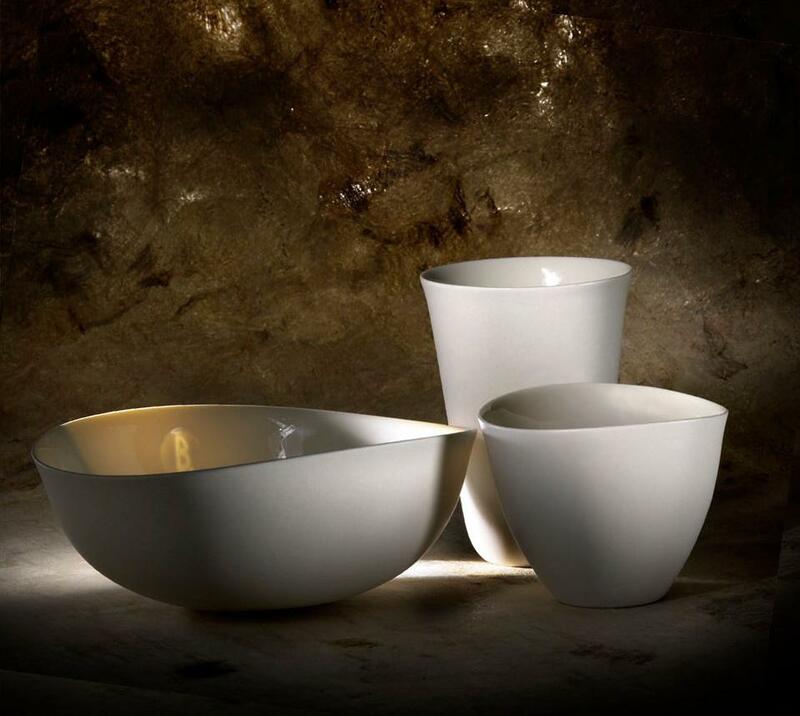 – a meticulously crafted collection of porcelain ceramics. 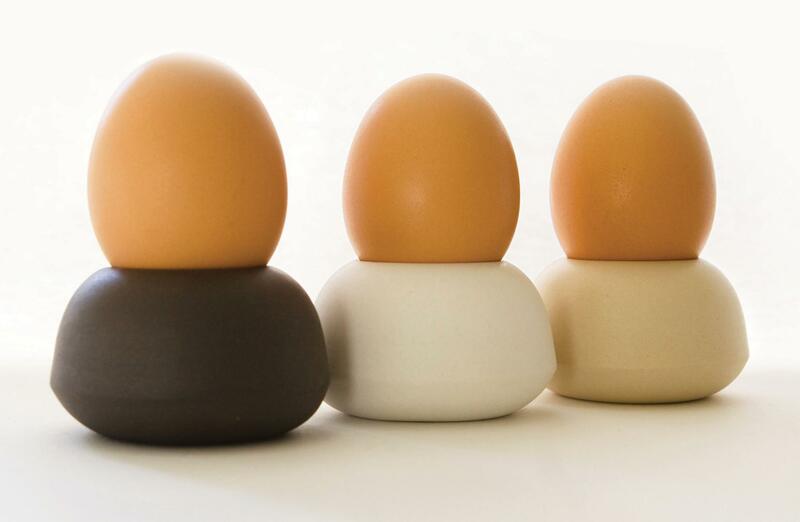 Basma has chosen to work with a limited palette of grey, beige and cream — creating quiet elegance with minimal shapes and a striking matte finish. Each piece has a soft feel to it which she likens to worn rocks on the beach. 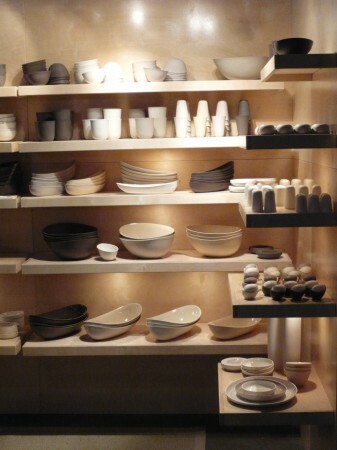 To me, her collection is reminiscent of Eva Zeisel’s work in the 1940’s and 50’s. It looks and feels organic. 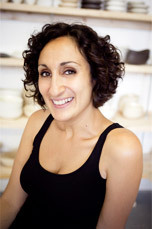 Basma, who immigrated to Canada in 1995, graduated from the Centre de Ceramique Bonsecours in 2003. 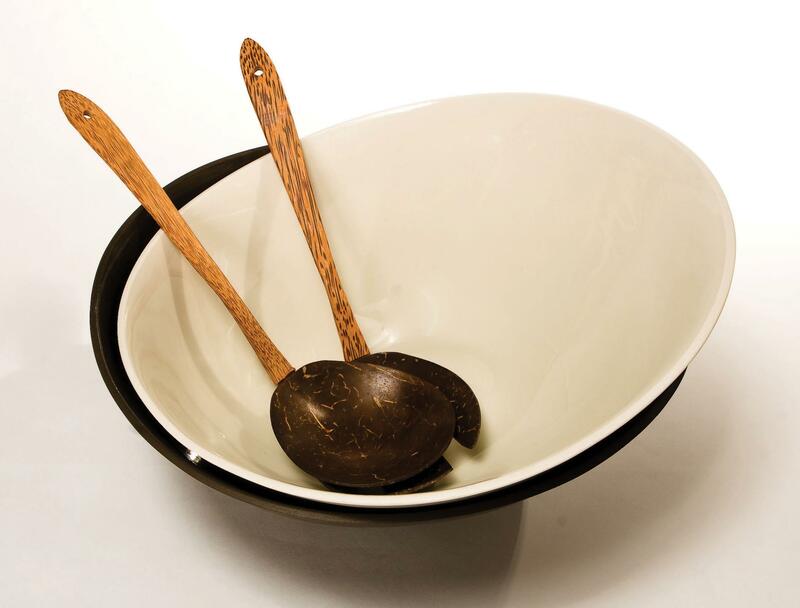 She initially created one-of-a-kind pieces, then launched her first tableware collection in 2007. Each piece is made from liquid clay poured into plaster molds. Basma always starts with the function of the piece and moves on to get “the feel” right. She likes to push the limits of clay and recently produced a thinner version of some of her pieces. She continues to create new serving trays and special edition pieces. 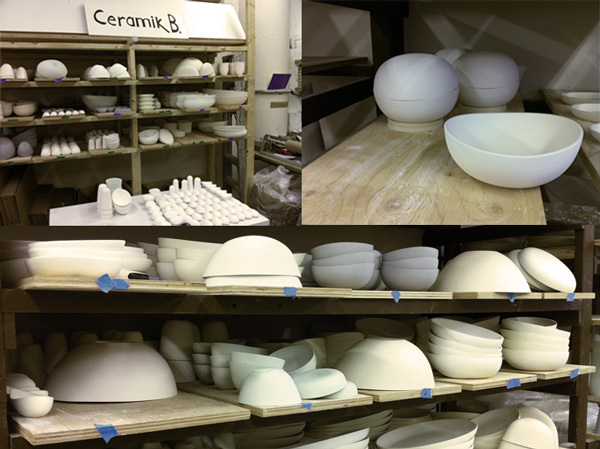 In Toronto, Ceramik B. is available at Made and Bounty. It’s also carried at Mysteria Gallery in Regina and Abode New York in Brooklyn. An e-shop will be available soon. To take a closer look at Basma’s work, check out her website here. All photography, courtesy of: Elida Arrizza , Montreal Quebec.